^ Intel® AMT and the Intel® ME. Intel. ^ Getting Started with Intel® Active Management Technology (AMT). Intel. ^ Black Hat Europe 2017. www.blackhat.com. [2019-04-11]. ^ Portnoy, Erica; Eckersley, Peter. Intel's Management Engine is a security hazard, and users need a way to disable it. May 8, 2017. ^ Wallen, Jack. Is the Intel Management Engine a backdoor?. July 1, 2016. ^ 6.0 6.1 Frequently Asked Questions for the Intel® Management Engine Verification Utility. 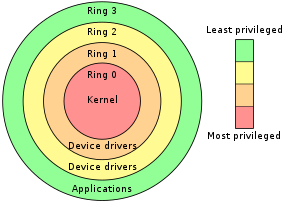 Built into many Intel® Chipset–based platforms is a small, low-power computer subsystem called the Intel® Management Engine (Intel® ME). ^ Intel ME huffman dictionaries - Unhuffme v2.4. io.netgarage.org. [2019-04-11]. ^ 9.0 9.1 Research, Author Positive. Disabling Intel ME 11 via undocumented mode. [2019-04-11]. ^ Security Center. Intel. [2019-04-11] （英语）. ^ Williams, Chris. Red alert! Intel patches remote execution hole that's been hidden in chips since 2010. www.theregister.co.uk. [2019-04-11] （英语）. ^ at 16:30, Thomas Claburn in San Francisco 6 Dec 2017. Intel Management Engine pwned by buffer overflow. www.theregister.co.uk. [2019-04-11] （英语）. ^ Eckersley, Erica Portnoy and Peter. Intel's Management Engine is a security hazard, and users need a way to disable it. Electronic Frontier Foundation. 2017-05-08 [2019-04-11] （英语）. ^ Cimpanu, Catalin. Intel x86 CPUs Come with a Secret Backdoor That Nobody Can Touch or Disable. softpedia. [2019-04-11] （英语）. ^ July 1, Jack Wallen in Security on. Is the Intel Management Engine a backdoor?. TechRepublic. [2019-04-11] （英语）. ^ at 00:12, Thomas Claburn in San Francisco 29 Aug 2017. Intel ME controller chip has secret kill switch. www.theregister.co.uk. [2019-04-11] （英语）. ^ Leserforum. Heise Magazine. [2019-04-11] （德语）.